Our Fall 2018-2019 meeting schedule will be out soon. John Kerns is inviting pastors, their wives, and families to convene on June 12th & 13th for a great time of encouragement and fellowship on Cape Cod. The main meeting will be on Tuesday, June 13, from 9:00 a.m. – 12:00 noon at Faith Baptist Church, 251 Osterville/West Barnstable Rd, Osterville, MA. The focus will be on on living and leading like Jesus in four crucial areas: humility, prayer, courage, and vision. Our speakers will be Curt Rowe, Neil Eaton, Kevin Whitacre and Sean Sears. A short MaBBF business meeting will follow the main meeting. A continental breakfast will be available at the church beginning at 8:30 a.m.
And for all you golf lovers – email adelesaunders@capefaith.org and let her know that you’re interested in joining John Kerns and others for a round of golf after the meeting ends. There is also an awesome Monday night option for this meeting. You are invited to bring your whole family (or come by yourself) and join John and Lisa Kerns for a cookout from 6:00 – 8:30 p.m. at 72 Wheeler Road in Marston Mills, MA. There will be yard games and a pool available. Please RSVP for the cookout by June 9 by email to adelesaunders@capefaith.org. Finally, for those of you coming down on Monday night (and we hope that’s a lot of you!) the church has negotiated an excellent special price at a nearby hotel. Just let them know that you’re with the “Faith Baptist Pastors Conference.” See the information below. Don’t miss this special time of encouragement, worship and networking! If you have any specific questions related to the meeting, please call Faith Baptist Church at (508) 420-2252 or email John Kerns at pastorjohn@capefaith.org. Faith Baptist has negotiated a special rate at the Best Western in Hyannis – just $ 89.00. Mention “Faith Baptist Pastors Conference” when you call to register. 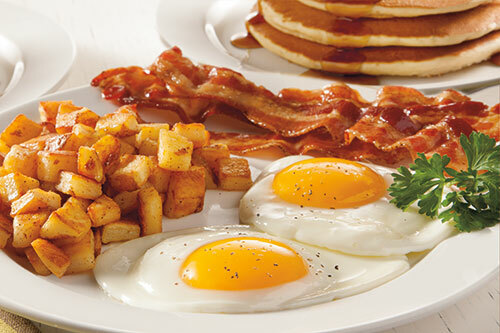 8:30 – 9:00 a.m. Continental breakfast at the church building. 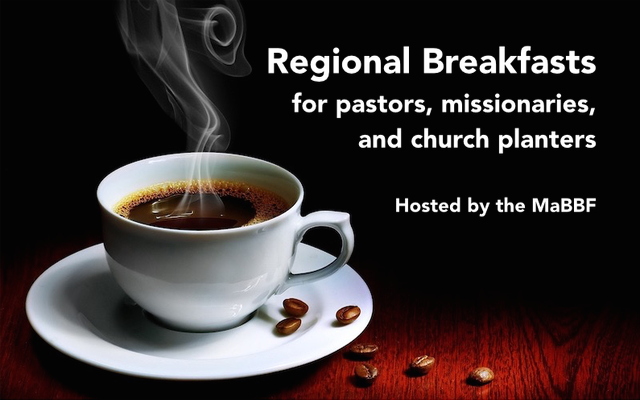 We’ve scheduled a breakfast for pastors, missionaries, and church planters in your region! 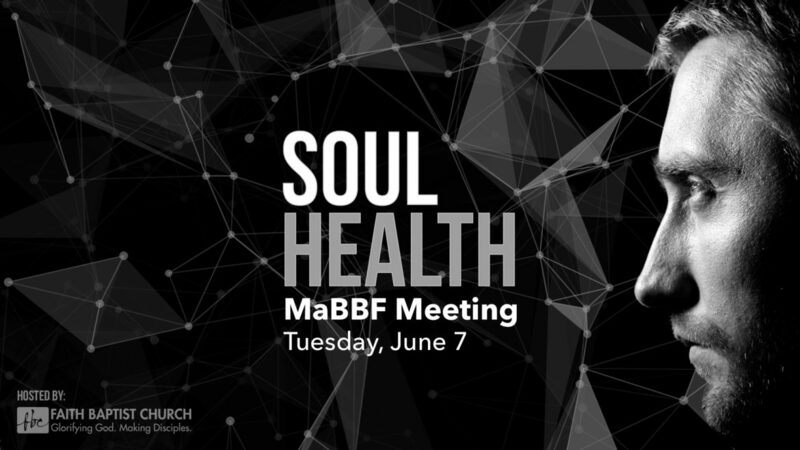 Fellowship with other pastors, hear what’s going on in and around the Massachusetts Baptist Bible Fellowship, learn about new church planters, and share your ideas about ways to make our Fellowship even more effective. Each regional breakfast is hosted by one of our MaBBF officers. Currently we have three regional breakfast meetings scheduled for April 25, 2017, at 8:30 a.m. in the locations listed below. Contact the breakfast host for more specific information. Hope to see you at one of these breakfasts! If you’re pretty sure you’ll make it, try to drop a quick email to the officer hosting your breakfast to help him with planning. Thanks! I have been a part of the Massachusetts Fellowship for over 20 years. Over these years I have discovered some core values that we share that are very important to our fellowship. · A love for the Word of God. · Worldwide evangelism and discipleship. · A healthy environment for thriving pastors. · A commitment to the 20 Articles of Faith. · Sense of community without big shots or big egos. 1 – Facilitate four regional meetings that are so compelling you would move heaven and earth to attend them; meetings that will tangibly add value to your ministry. Click here for information on upcoming meetings. 2 – Work together in all 6 New England states for leadership development, personal growth and spiritual renewal. 3 – Maintain a church planting fund to benefit every approved church planter in any participating state. Accomplishing these goals will help us plant more churches in New England. To that end, I am asking that every fellowship church in Connecticut, Rhode Island, Massachusetts, New York, New Hampshire, and Maine contribute to our Regional Church Planting fund. In order to be considered a recipient for this fund each church-planting candidate must…. 1 – Have the recommendation of their sending pastor. 2 – Adhere to the 20 articles of Faith of the BBFI. 3 – Pass BBFI assessment process administered through “Multiply Assessment Group”. 4 – Attend two state meetings and one national meeting per year. 5 – Be approved by our church planting board. This board will be comprised of regional fellowship pastors. They will assess and make the final decision on where the funds will go. Please pray about getting your church involved in planting other churches in New England. If you have any questions about this, send me an email or call my cell phone (508-431-3139). As the chairman, I promise to do my best to continue creating opportunities for us to work together in Massachusetts and in New England, in leading healthy, growing and reproducing churches. Thankful that you are part of the team. • How to develop a strategic plan to connect with the spiritually disconnected in your town? • How to raise up leaders in your congregation? • How to be part of a vital fellowship making a significant difference in New England? Join us for the Massachusetts Baptist Bible Fellowship meeting on Strategic Leadership, Tuesday, November 15, at Lifepoint Church in Chicopee, MA (details below). This meeting will be well worth the time you spend to be there. 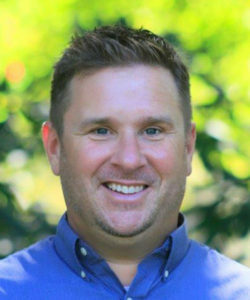 Chris is the Lead Pastor of Encounter Church in Dedham, MA. They had one of the largest launches in the history of the Baptist Convention in New England, due in part to the strategically planning they did over the previous 2 years. Chris is a voracious reader and is in several personal coaching relationships with some of the most influential pastors in the country. 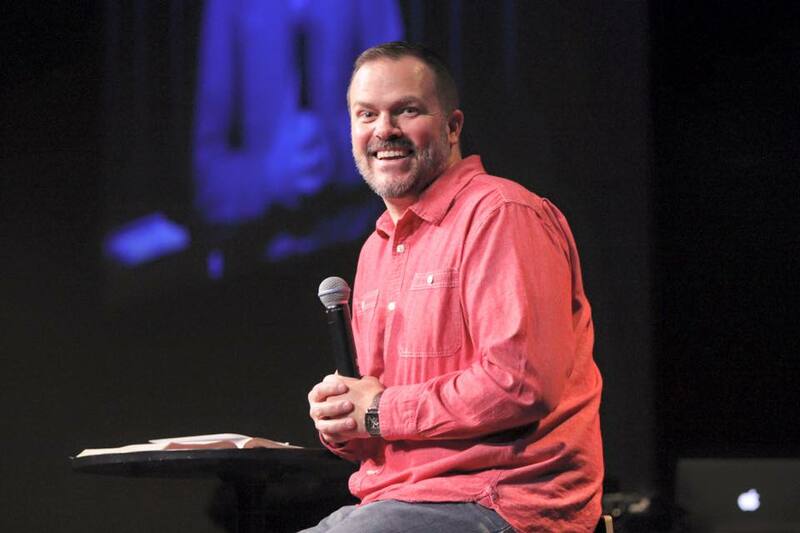 He currently serves as the Executive Pastor at Encounter Church and is responsible for building teams, developing leaders, and strategically executing the vision of Encounter. He serves in various capacities that also allow him to serve the local church, including the Paterson Center and SEND Boston. John is the chairman of the Massachusetts Baptist Bible Fellowship (MaBBF). Besides pastoring a growing church and being a happily married father of four girls, he is providing visionary leadership for the MaBBF that will enable us to make a significant difference in the coming years, not only in Massachusetts, but throughout New England. Welcome Pastors and Church Leaders to Cape Cod Church! Cape Cod is known worldwide for sandy beaches and beautiful vistas. Thoreau famously said of Cape Cod, “A man may stand there and put all of America behind him.” This is a place people come to reflect, refresh, and be inspired. At Cape Cod Church we believe it is also a place to encounter God – with the world behind us, we discover the cross before us. From the beginning, the Baptist Bible Fellowship has been a part of our story – partnering, mentoring, and celebrating with us since Tammy and I founded Cape Cod Church 24 years ago – so we are very excited to welcome the men and women of our Fellowship to Cape Cod, to serve the churches, pastors, staff, and leaders of the BBFI, and to inspire, encourage, equip, and challenge all who attend. The BBFI has always been a fellowship of preachers – strong, clear, and convincing voices for the gospel calling people to Christ. Following in that tradition, we have invited a diverse group of voices with a simple request to challenge, encourage, and inspire us for the work of the gospel. 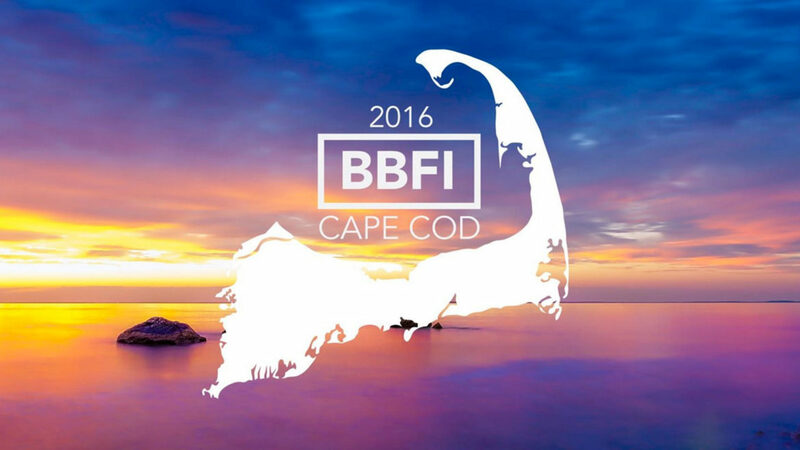 We look forward to hosting you on Cape Cod. Be sure to carve out some time to put the world behind you, to be refreshed, to take in the beauty of the region – and to listen, pray, and be inspired for the work God has put in your heart. For more information and details, please visit our website. 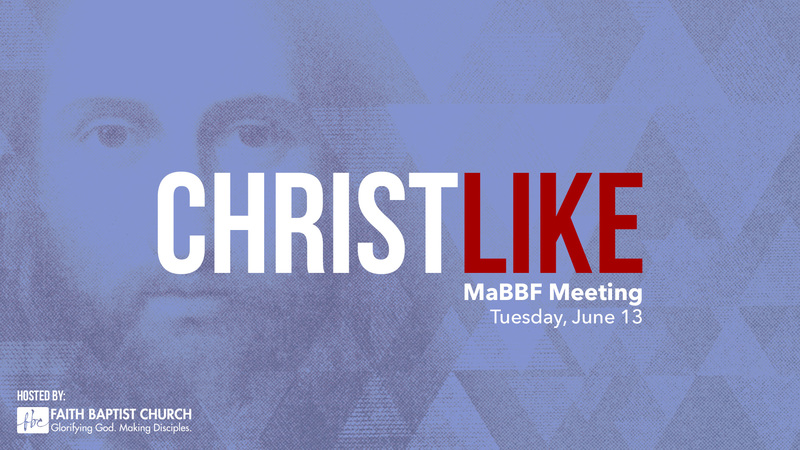 On June 7, Faith Baptist Church will be hosting the MaBBF Fellowship Meeting. We are honored to have Dr. Rex Keener, senior and founding pastor of Grace Fellowship Church in New York, with us. There will be a continental breakfast when you arrive and our lunch will be catered by Pizza Barbone. I know this is last minute but we’ve got Mark Jobe, New Life Community Church (newlifechicago.org), coming to Grace, on March 8th, for coaching. He is a missionary kid who planted his church in 1986 (at 21 years old), after graduating from Moody. Today they meet in 26 locations in the Chicagoland area. Mark will be leading 3 sessions on “Restarting your Local Church”. Over half of their campuses are replants and they’ve learned a lot about infusing new life into plateaued churches. This will start at 9:30 and run through 1:00 p.m. (lunch will be provided for those who RSVP). There is an additional Monday opportunity for those churches considering multi-site. Email stephanie@thatsgrace.org for more information about this or to RSVP for lunch. No cost for either of these. P.S. Feel free to forward this to anyone that would benefit.